Home » Miscellaneous » Is Zimbabwe really that much out of touch with tech? Is it just me or is there a really disturbing trend among Zimbabweans to misread or misconceive the actual stage at which we are in terms of ICT growth? It’s so bad that we can be comfortable just by simply reintroducing a foreign project locally and then making so much noise about it. King Solomon once said it, there is nothing new under the sun. This cannot be truer for technology. Unless it’s a whole new frontier that mankind has not ventured into, then there is really nothing to talk about. Even Samsung knows this, that’s why there is really nothing new in the S6 Edge, except maybe the curved screen. Now I don’t want to unjustly criticize efforts by fellow men who have invested time and resources in developing solutions but I must call out a few amusements that are out of order. Let me take you to the Midlands State University’s eSadza project. This was a simple deployment of the electronic card in its basic form as used in the banking and security sector. Kudos for MSU in developing this system as it made ordering sadza easier, but for a State University, this is really nothing to talk about. Zimbabwe is struggling to provide energy and the students we are sending to school have eSadza to show for it. In the line of absurdities then came Netone’s Chatterbox. Whether it was marketing research that blundered or it was meant to humor us, this trip down PTC’s memory lane was a bad idea from the start. A more recent experience at HIT Technovation day last week had me thinking about how universities themselves see the technology space and their contribution. What had been advertised as a day for companies and organisations to exhibit their science and technology products and services, turned out, in fact, to be nothing but a career day with departments issuing out prospectus for eager children. From expectations of a high-tech exhibition, my spirits were dampened to see a few patents and theory projects here and there. It’s saddening to see this virus of churning out entrepreneur-less academics back into society taking root even in the technology universities. The best that tech universities have done to teach students enterprising skills is probably adding one more course called Technopreneurship to the academic curriculum devoid of actual practice. Otherwise, how else would a whole university celebrate the patenting of a formula for leisure drinks unless they are really just encouraging graduates to make drinks in the backyard and sell it on the street. No innovation here, this simply looks like a re-invention of what’s already there and one has just made a slight variation. The Sunday Mail carried the story of young Benard Manzini, who developed an SMS and Bluetooth system of switching lights on and off. Firstly, what lights in Zimbabwe would you be worried about? Secondly doesn’t Internet of Things scream so loudly in our faces? Not taking anything away from Manzini, but It’s as if Zimbabweans have no idea that this is a basic 15 minute DIY video on YouTube. Again it’s simply reproducing what we already know. There is nothing wrong with that, lot of great services and products have come from that approach. but it shouldn’t be such a big deal. Zimbabwe doesn’t seem to know that connected homes, connected cars and so on are no longer an invention either. 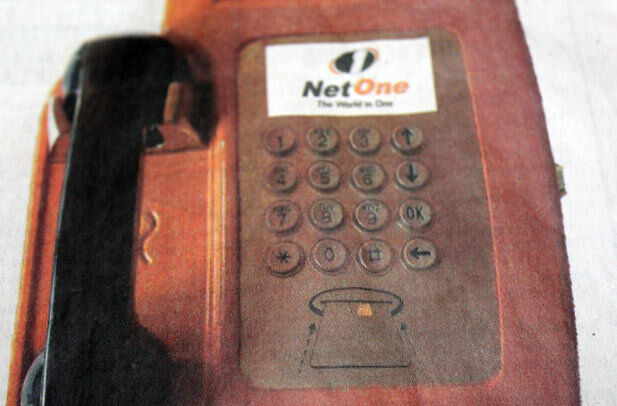 Even NetOne which is traditionally slow with products already has a bouquet. We were also celebrating the enhancement of Zimselector, Not to take anything away from the Zimselector team, I appreciate the service’s business merits. But somebody tell me if there’s something new or perhaps that it is worth the attention it is getting as an innovative solution? Is this any different from Classifieds? Why then is it making so much noise ahead of all others that have been talked about? From these stories it seems Zimbabwe is either so far behind in tech that we will celebrate anything that we are shown or we can just freely abuse the word innovation without offering any critical feedback. There have been signs of hope and inspiration locally though. Cases of children experimenting with Arduino and Raspberry Pi technology and endeavours by guys like Test Labs and the ICT Generation to introduce basics in robotics and software development plant the seeds of better things in the years to come. Maybe in the next 5 years, we’ll expect more from our very intelligent nation, and not pass mediocrity as innovation. Have been asking myself the same question. I saw the dude with the award in the Sunday Times and i be shaking my head. Since you’re demanding that innovators present their wares at your table for worthy judgement, it’s only natural for us then to ask what YOU have done. Don’t take this the wrong way. I’m also a techie with a few products under my belt, but someone asked me the above when I made similar remarks to yours and from that day I learnt to keep my head down and work. Usually it’s when you try to push the boundaries in our very difficult economy that you appreciate the effort that goes even into what seems mediocre. In light of there being nothing better, I think by us remaining silent allows mediocrity to surface and be accepted as innovation and thus no different from the proverbial “Emperor clothes”. In our silence, we are saying something and a lot of the times we have to call a spade a spade. How else will we excel as a nation? Yes, you have the argument of “let he who hasn’t sinned cast the first stone”, but should we be celebrating such when everyone and their dog can see that it is wack? If you want to help, fold your sleeves and raise the bar, don’t just criticise. I’m with the author here. Lets encourage the local tech sector, lets commend all those who are striving to do stuff in this not so conducive environment. But lets not throw around the word “innovation” where the word doesnt really fit. Hats off to the guy who managed to control lights using sms and bluetooth. But it would be enlightening for any article harping this innovation to highlight how new in the world the technology actually is. Case in point: Econet introduced the “innovative” Ecocash a couple of years ago. However, selling this as a first in the world would have been an outright lie seeing as its a dead ringer of Safaricom’s m-pesa. If tech journals and other commentators had chosen to ignore this, we would be putting ourselves on an undeserved pedestal. And no, it doesnt need someone who has actually accomplished something in tech to be able to point out these simple truths. Gary, you dont need to shut up: this is the internet! this is a really good article. too often, people clone a concept that someone developed across the world, then play it out be innovation of the century in Zimbabwe. You are right, bluetooth controlled lights are not very relevant to us in this day and time, and thats the problem.. people need to focus on what innovations ZIMBABWE needs. Sadly, it seems that primary school kids experimenting with lego mindstorm kits are seemingly more cutting edge that our Universities! our biggest problem is lack of exposure. they say never say your grandmother has the best soup if you have never left the village. Thanks for this article. … this is really nothing to talk about… this is a basic 15 minute DIY video on YouTube..
Want some cheese with that whine? Seriously though, this article could have been written in a less negative and patronizing way. It’s all we have: you may choose to celebrate it or criticise it – but that’s the best we can do (empirically). I am with you Tapiwa 100%. Often the work of a critic is too easy. How many idiotic projects did Mark of FB worked on before cracking it with Facebook? How many idiotic products did Apple offer before making it big with the iPhone? To introduce something big you start by working ON MANY PROJECTS some of are just for your learning and growth. Other than the NetOne case all i hear was negativity based on i don’t know what. Zim is playing catch up on the tech front compared to other countries and by that we are like a baby. Have you ever seen parents celebrate when the baby start talking albeit not smoothly, also celebrate when it start seating, walking etc? Have you ever asked yourself the reason why they celebrate? Is it to say the baby is innovative, creative? The purpose of celebration “is to encourage” the baby to do even more. Same with our tech we are in infant stages of it and every effort should be celebrated if people choose to. By the way those that write “innovation” a mere reporters/journalists i doubt that the people behind these projects would have specifically asked them to include specific words/phrases in describing their work. One last thing: try to be happy, i sense a lot of anger/disappointment as if you were sponsoring these people “that have failed you”. I like your comment. Very mature and encouraging indeed. Lets celebrate whatever we see as success, because when we really mess up people will celebrate. Well in zim try to be innovate in 90% of companies u get fired. so iths the system tht needs to change. I am based in USA, I am a software engineer here and I do not see Zimbabwe’s landscape as mediocre. I see creative people, breaking barriers. The difference is that in Zimbabwe you have to make the boat, pull it to the river and paddle it on your own, trying to cross a man-made river infested with somebody’s crocodiles. As you paddle you see a desert and you have to build your own canal, look for your own seeds and till on your own. As you are tilling you realize you have no food for the day, so you have to cross another river to work for somebody ….. It goes on and on. There is need for incentive. We need a few breakthrough stories like Kenya and all will fall in place! I agree with Freeman, the author seems to be aggrieved and hence emotional. Yes some projects seem to be late, but hey at least they have come up with something . “A bad project unveiled is better than a good one that is never made”. One thing that i know is that once a product is unveiled, that’s when real development starts, the onus will be on pple like the Author to help the tech team to make the product relevant and better. The author also have to understand the environment that we are operating in, we have a lot of barriers that we have to break in this road of design to stardom. I myself designed and developed a module which used GSM and IP to control Boiler temperatures and other active industrial equipment years back, way before the IOT M2M frenzy was known by the likes of you Victor, and i pity myself when i see google launching similar products(NESTS). But because i had heavy physical barriers that i had to overcome “Sadza”, the project just died a silent death. So i think its fair to applause the young man who managed to switch on lights with bluetooth, he has managed to break the barriers which some of us failed to in our time. I dont think Midlands State University celebrated the eSadza system. Infact it is the journalist that was impressed by the efficiency of the system as compared to most non-functional mobile prepayment systems around the country and found it as news. No journalist was invited. The project had been in place for a year when the journalist passed through MSU and found it. The name eSadza was not coined from MSU but by the journalist who decided to call it by that name. A lot of internal applications have been done at MSU that are improving the lives of students. I just wanted to correct you on the thinking that it is MSU that celebrated it. The use of the swipe card at MSU has been there for almost a decade now. Its not innovation in your thinking (as you are obsessed with never achieved innovations) but effective utilization of technology. Didnt you celebrate Ecocash which has a similar concept. A provoking article to say the least. I think innovation is not coming up with a complex idea. Innovation is using the bare minimum to come up with something that will make my life a lot easier. If the eSadza system reduces the time and effort required to get a plate of Sadza, then to me it’s innovative. I will agree with Gary and Freeman, it’s not easy being an entrepreneur in this political and economic environment. It’s tough, that we can’t ignore. I will agree with you on the quality of some graduates. Over the past 6 months, I have been approached by several students studying Software Engineering at HIT asking me to develop projects for them. While they are 3rd or final year students, they still don’t understand the basics of programming yet they are on the Software Engineering track. It’s sad to think that most of the innovations they showcased at the Technovation Day were downloaded or bought from the internet. I certainly agree that the technovation day was more like a career guidance day the projects were good , baby steps as highlighted earlier but they needed collaboration with corporates to make them more relevant in industry and for quality assurance. There are some real innovations around. I do blame the tech bloggers to a certain extent. Most of them can’t see the wood from the trees! They prefer to remain withing their comfort zones. Our company has had to rely on foreign bloggers to write abt our products. These local bloggers believe only mediocre and copycat products can come out of Zimbabwe. its the system stupid! try to innovate something kubasa, you get fired. the problem is also the journalist, these people have studied arts and linguistic subjects at college. some of them don’t even know what they will be talking about. Don’t just throw the word “innovative” before doing your article research.